Questions are gender neutral, so this game works for ANY couple! Achieve enlightenment by playing Mind. Body & Soul. 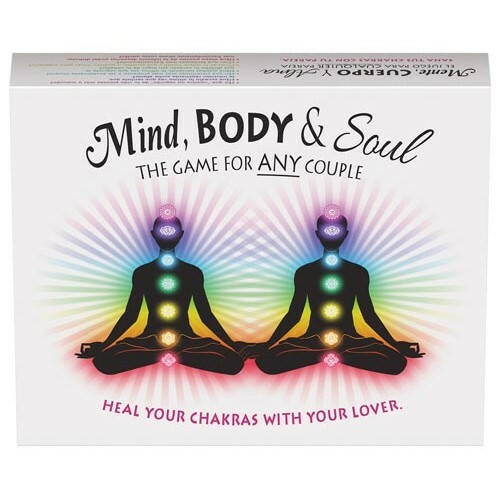 As you move around the game board, you and your partner ask each other questions designed to open up your chakras. There are 20 questions per card and two sets of cards per the seven chakras to total 240 chakra healing questions. You win by aligning all 7 of your chakras and your partner provides an intimate reward to align your sacral and heart chakras. 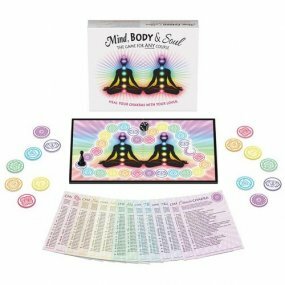 Mind, Body & Soul Card Game. Review "Mind, Body & Soul Card Game"